Professional pool service in Huntington Beach....and beyond! 20 Years of swimming pool cleaning and repair services. Pool Service, Pool Repair and Monthly Pool Maintenance in Huntington Beach and all Over Orange County. SAVING HUNTINGTON BEACH SWIMMING POOLS IS OUR SPECIALTY! Are you in need of immediate pool maintenance services for your Huntington Beach home while also looking for the top rated and most affordable business around? ​Congratulations - you've just found what you're looking for (slow clap). HB Pool and Spa Service is the most reliable swimming pool service company in Huntington Beach. Having been in business for over 20 years, we are known for providing over-the-top services while maintaining over 75% of our original and first-time clients since our inception. We would not stay in business without the support of our esteemed clients, which leads to our obligation to provide nothing but the best pool service we can do. Whether it's cleaning pool tiles, repairing water pumps, getting your chlorine levels in line or just maintaining your pool's beautiful nature. we're here to serve. We offer bi-weekly and monthly pool cleaning, swimming pool maintenance and pool repair services in Huntington Beach and the surrounding areas. Oh, and this includes spa service as well. No job is too small for us and our professional pool service staff is educated in providing the best maintenance plan for you. Give us a call at (714 ) 577-2490 to schedule an appointment or to ask for a free estimate today. You can save yourself a lot of time and headaches knowing that we are the most reliable pool service in Orange County. And that's a guarantee. Like, a triple guarantee. Our aim is to make swimming pools as healthy as they can possibly be. Give us a call today for a competitive, and I mean competitive, pool service quote! Searching for a professional pool service business? Look no further. Our customers say we hold the title as the top-rated pool cleaning company in Huntington Beach. Why? We care about our customers and clients. Making sure they get a Grade-A job is second to nothing. Pool Maintenance & Services Provided At The Best Prices & Highest Quality! For over 20 years, Huntington Beach Pool Service has provided the best pool maintenance service in Surf City. Simply put, we put a huge smile on our client's face for our professional recommendations and high quality workmanship. There's a reason why we're the go to pool cleaning company in Huntington Beach. 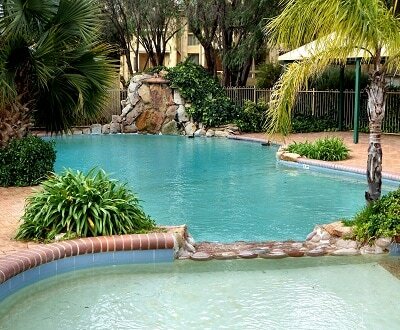 Again, a personal backyard looks so much better with a well maintained pool. Why have it any other way? And don't forget, we don't only tread in Huntington Beach. We've serviced pool facilities all over Orange county. Trust us when we say that we understand the time and efforts it takes to maintain a healthy pool. As stated, we work on bi-weekly or monthly pool maintenance schedule to ensure the life of your pool and it's quality. We have a monitored point system all pool surfaces are clean and inspect for any pool leaks that will prevent correct water flow and will stabilize your pool's pH levels to avoid any acidity levels that will be harmful for your pool. Our employees value each and every project and our pool service technicians always get the job done. We value our customer's time and most importantly, their swimming pools. All in all, we'll make sure that your pool has an all-around, full-depth inspection and service to handle all minor issues that will prevent issues for your use throughout your life. 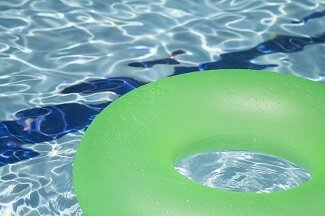 Looking for immediate pool repairs? 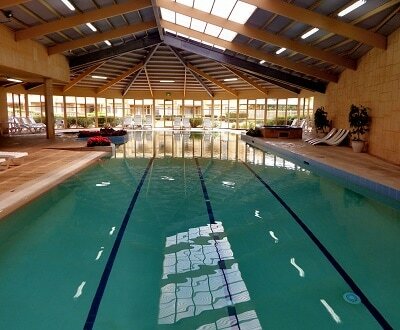 We specialize in handling any major swimming pool repairs for any pool or spa facility. A pool is as good as it works. Don't let your prized procession go unused - our team is available to repair your pool at your service. ​A few of our professional swimming pool repair services include replacement of tiles, filter repairs, pool pump resetting, and more. We make sure to use the best cost-effective parts and material to make sure we keep things cheap. When collecting estimates, it's obvious for us to see which quote is overpriced or not. We use various PVC, cement and other supplies from our manufacturing connections to ensure cheap and high-quality product for our business. In other words, we know the market quite well. And yes, we can also repair your spa facilities. Our select spa repair experts are certified to repair any commercial, residential or government-run swimming pool facility. Most other companies may not have select spa service techs, which makes our company a best rated pool service company. Keeping your pool clean is the number one way to ensure the longevity and health of your swimming pool. We're the highly trained pool cleaners that will make it happen. We service residential pools and commercial pools to perfection to get rid of any algae, mold, gunk and/or unwanted deposits on the pool surfaces and the main decks. Oh, and we clean tiles like you've never seen. While other pool service companies may only have equipment to cater to one need, we are fully stacked to provide pool vacuuming, pool skimming, swimming pool tile cleaning & even pool detailing to ensure the best pool clean service possible. I mean, why not? Looking for the best pool cleaning service in the city? We're your best pick. While other's may operate on a get-in, get-out model, we've come to find out that doing the best service results in getting the best business. Don't believe us? W'll let our pool technicians do the talking. *A special thanks to From A Tree for your support in our many work and partnership events. Our pool maintenance services don't only extend to swimming pool. 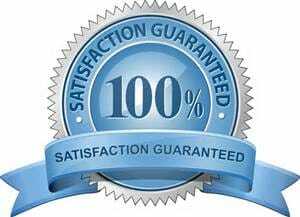 We are qualified, certified and electrified to service your spa today. And we don't overcharge - ever. Our spa services are the best in Orange County. We've maintained backyard Jacuzzi's, gym spa amenities and swimming pool facilities for countless of clients over the years. We'll maintain your hot tub to it's most pristine condition through electrical testing, thorough spa bench cleaning and making sure all pumps and gauges are running and looking great. Each technician has years of working with every component there is in a spa and we over deliver every time with integrity and honesty. Spa, jacuzzi, hot tub - we'll take care of it - it's what we do. Whether you're requiring spa cleaning, servicing, repairing or simply maintenance, we've got your covered. To show how much we care about each client we offer a 5% discount for every new spa cleaning service customer that mentions this site (this is an actual guarantee - don't forget to mention it!). Why you should hire us as your pool cleaning service company of choice? 1. Our pool repair prices are the cheapest in Huntington Beach and are always open discuss estimates openly. 2. We've been in business for over 20 years and are fully qualified to handle any pool maintenance need you require. 3. Our pool cleaning staff can take care of your swimming pool while you spend your quality time doing the things you love. 4. We offer the best pool maintenance service in Huntington Beach - our reptuation is unmatched. Our company knows how to separate themselves from others in terms of accountability, quality and affordable pool services. We don't gain any value by pricing ourselves out of our customer's price points so naturally our strategy is to give swimming pool owners and pool managers a quality service they can afford. We have the highest customer satisfaction and retention rate all due to providing an excellent service for every single job. Our clients hire us with peace of mind in knowing their money is providing maximum benefit and service for their swimming pools. That's how we've developed so many relationships with our customers since our earlier days in business. We have the best reviews on Google, Yelp and all other outlets complimenting us for our outstanding service for everything pools and spas. No seriously, look around and you'll nothing but good and honest praise of our services. Our pool cleaners are trained to provide a professional service for every project. We're not the type of pool cleaning service company that employs on-call techs for every job. Every one of our customers are assigned one pool cleaner to build a level of comfort and trust between both parties. We'd also like to thank out friends at Outdoors Lifestyle for the constant West Cost referrals. They are the best company offering decking Winston Salem NC for pools and always leave their excited! Okay, We Caught Your Attention. 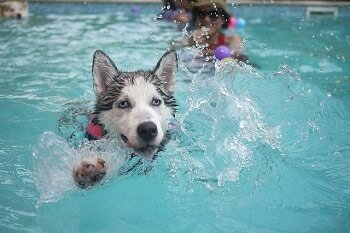 ​Looking for a Pool Service in Huntington Beach you can rely on? Contact Us. We're a phone call away from fulfilling your pool's needs. Whether you need routine maintenance, a deep cleaning, pool repairs or more, we've got you covered. We've always been extremely competitive in pool cleaning estimates because we know what it really takes to get the job done. Call us today at (714) 577-2490 for a quote and to get the process started for your swimming pool service needs. And If you mention this website with your order, we may just add in a sweet deal to your order. Don't forget to mention this site - we take care of our customers. We would like to give a big shout-out to our family at Torrance Towing Service. If you're looking for premier roadside assistance or the best towing service in Torrance, look no further. They'll take care of your the right way!